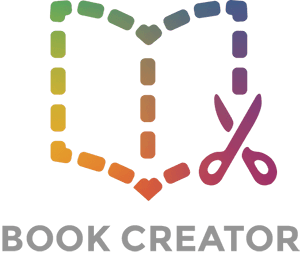 With Book Creator 5.1, we introduced the ability to publish and read your books online, on any device. So, if you want to read your book online, you must first follow the steps for publishing to the web. Perhaps you've been sent a link to a book? It should begin with read.bookcreator.com/ and then have a long string of characters. This is a unique address for the book, which means this is the only way the book can be accessed - it can't be found by searching on Google or other search engines. Reading the book is straightforward. Click on the arrows to turn the pages, or drag the edges of the pages with your mouse. If you're using a tablet or smartphone, you can swipe the pages. You can tap or click on any video or audio icons to play the multimedia in the book. If it takes a while to load, it may be that the video or audio file within the book is large, or your internet connection is slow. There are a couple of options for adjusting the reading experience, which you'll find in the toolbar in the top right. You can toggle whether to view the book as single pages or double pages, and you can toggle whether to view the book full screen in your browser or not. The icon with the three connected dots is for sharing the book. Click on it to share the book to Twitter or Facebook. The third option is to embed a link to the book on a website. You'll need to copy the whole text and paste it as raw code into your website. When you've done that, it will generate a link to the book and automatically insert the front cover of the book, as per below. Reading online is available on all modern browsers, on any device. If your browser isn't supported, you'll get a message asking you to update your browser when you try to load a book. If some of the text looks wrongly formatted, it is most likely because a System Font has been used in the book - these are the fonts that come as default within the iPad. As these fonts are not licensed for use outside of an iPad (or iBooks), we have to replace them when displaying the book online.